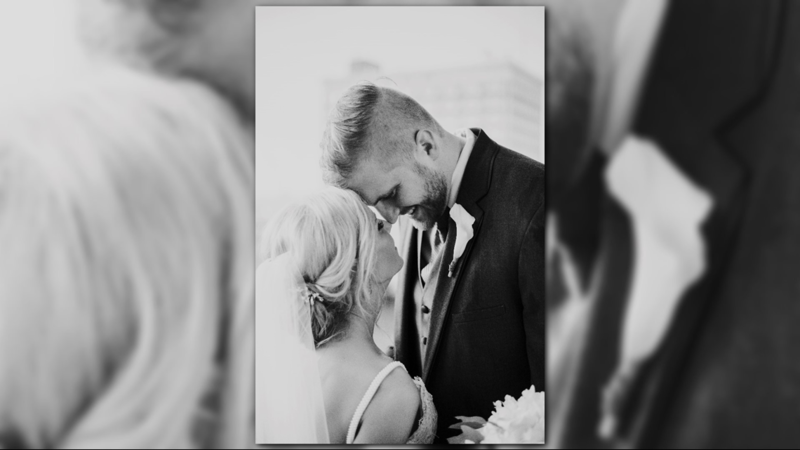 It wasn't until a few days later Matt and Brittany Kiser's wedding photographer, Jo Linsday, realized something was in one of the shots. 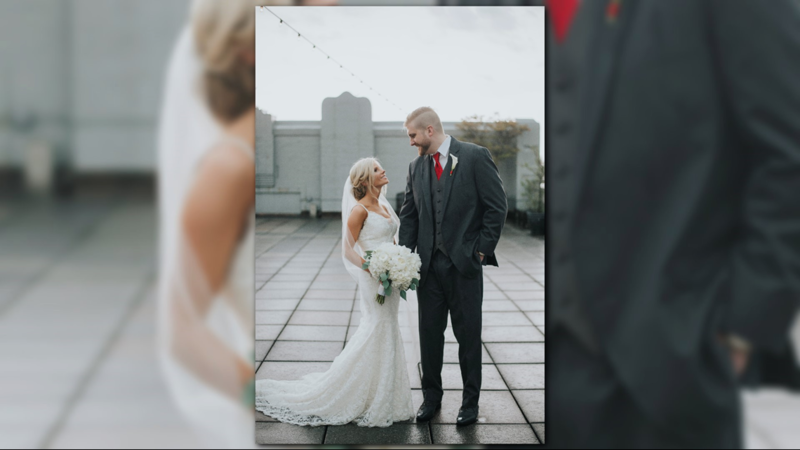 GREENSBORO, N.C. — Nothing seemed likely to stop the party at Brittany and Matt Kiser's Kress Terrace wedding on April 15, 2018. Not even the violent wind gusts and heavy rain, until it did. 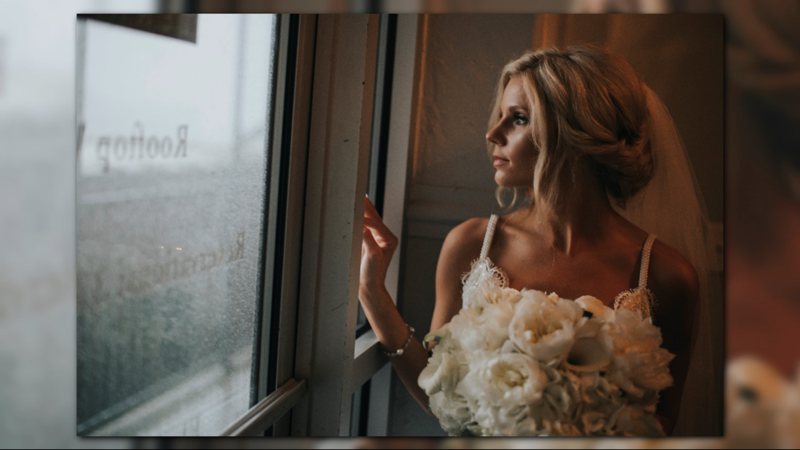 After the couple’s wedding ceremony, they went up to the venue’s outside terrace for their “cocktail hour.” Soon after, venue staff asked everybody to go inside because of the rain. 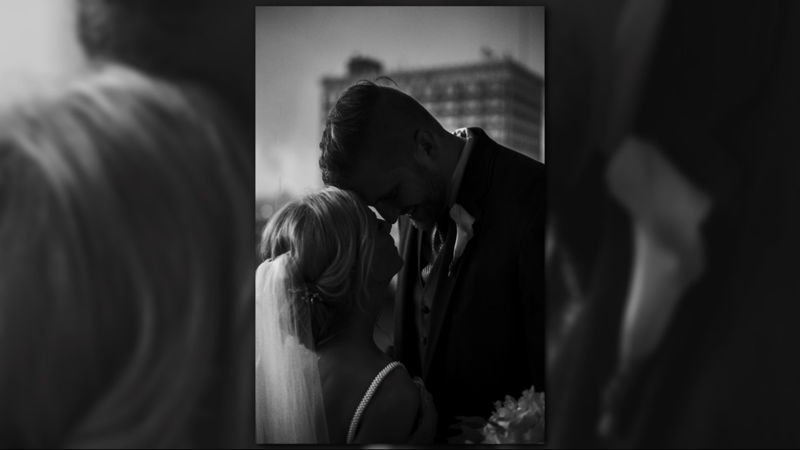 “Everybody was back inside and that's when we came back out,” Matt shared in an interview, looking back at their special day. 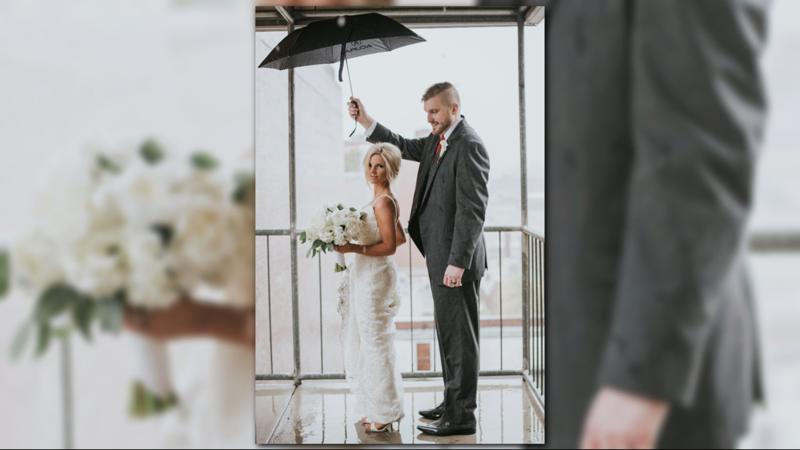 The photographer asked the couple if they’d be willing to step outside for pictures in the rain. After posing in the storm as the new Mr. and Mrs. Kiser, things got a little scary. “They came and got us and then told everybody to get downstairs because there was a tornado warning,” the husband explained. They moved inside, and the celebration continued. It wasn't until a few days later the couple's photographer, Jo Lindsay, realized something was in one of the shots. “She reached out to me and she said, "Look at this photo that I got! "” Brittany said. At first, the photographer couldn’t find any signs of the twister, until she played around with her editing software. Although they were mesmerized with the shot, the couple knows their luck was better than others' that day. They say rain on a wedding day means good luck. Brittany says a tornado and a storm should truly mean happily ever after.